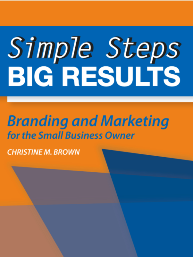 CMcBrown, Author at Marketing Resources & Results, Inc.
Marketing Resources & Results will be celebrating 21 years of serving clients from Northeast Ohio in just another month. During that time, I’ve found that there are many types of marketing firms in Ohio. How do you know which kind you are hiring? Most potential clients want to see your portfolio. Smart ones look up who you are connected to on LinkedIn and ask around. Some clients want to see if there is chemistry between you. Others only care if you have a low hourly rate. I like clients that do a little bit of looking into our experience, reputation and meet with us in person. Then they start out with a project. You see, I’ve found that there are great ways to have a client work well with the team and other clients where I wished I had bid the job higher for the pain in the neck factor. We have an outstanding reputation with clients inside Ohio, but we are not as well known outside of Northeast Ohio. 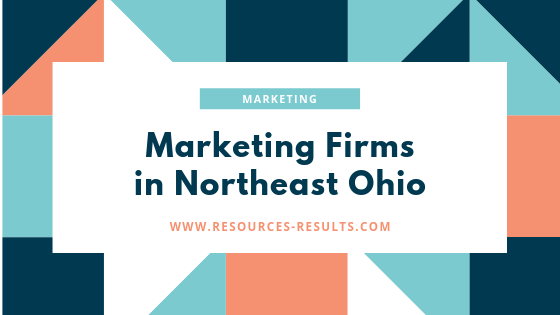 Some of our clients came to us from outside of NE Ohio because of the value we provide as one of the leading marketing firms in Ohio. The work that those clients receive for the price they pay is amazing to them… a super great value… and even more so if they are located in an expensive city or on the east/west coast. Midwest Values. High Quality Work. Experienced Service. Interested in seeing if we are a fit? Call or email to arrange a free consultation. 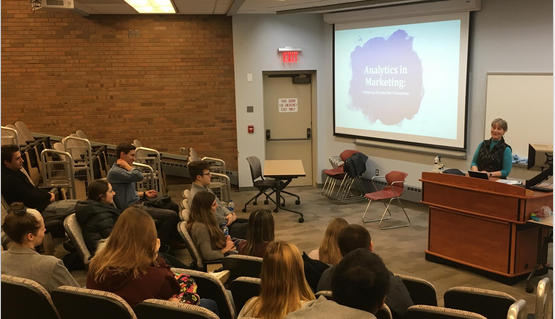 The president of Marketing Resources & Results, Inc. was the guest speaker for the American Marketing Association Chapter at Kent State University’s College of Business Administration on Feb. 6, 2019. She spoke to the group for Graduate and Undergraduate Students about using Marketing Analytics Outside of the Classroom. The 45 minute presentation was followed by a fifteen minute question and answer period. Brown shared her experiences as a marketing professional. Topics covered included: website analytics, advertising, Google Ads, social media, email marketing, video, and podcasting. Ask about the marketing programs we offer. Customized plans. Marketing tactics. Three levels of program choices. Contact us to find out more. Looking for a guide to planning your marketing? Available for purchase on Amazon now. 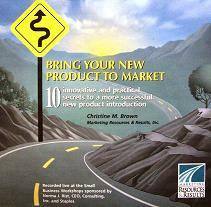 Bring Your New Product to Market: 10 Innovative and Practical Secrets to a more Successful New Product Launch. Audio CD. Please email your request using our contact form. Click to find out when we will be holding our next workshop or seminar. To schedule a new session, please send an email using the contact us form.